Ronesh Dhawraj's tweet - "Talk about explosive, today's @SundayTimesZA is lit! Dropping names left, right and centre: Jacob Zuma, Dudu Myeni, Nomvula Mokonyane, Lawrence Mrwebi & Nomgcobo Jiba. 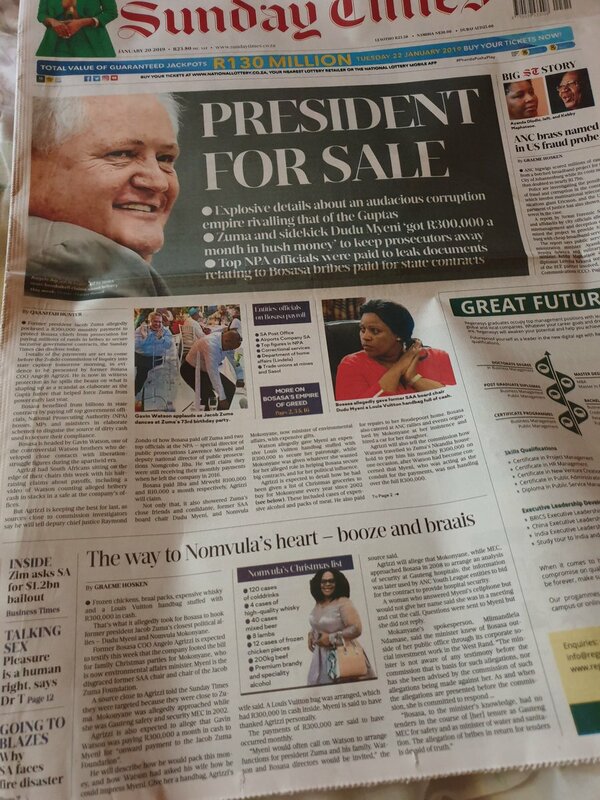 It's getting ugly #Bosasa #BosasaBribes #Agrizzi "